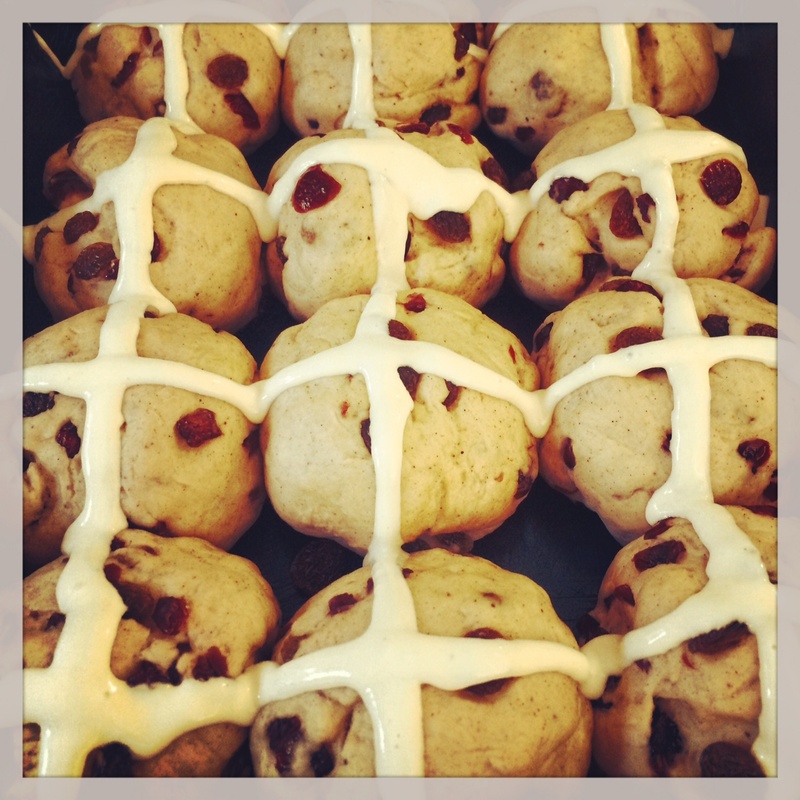 Vanessa: In the spirit of Easter, my fiancé decided to whip up a batch of hot cross buns – something he has wanted to do for a while! They certainly did not disappoint. 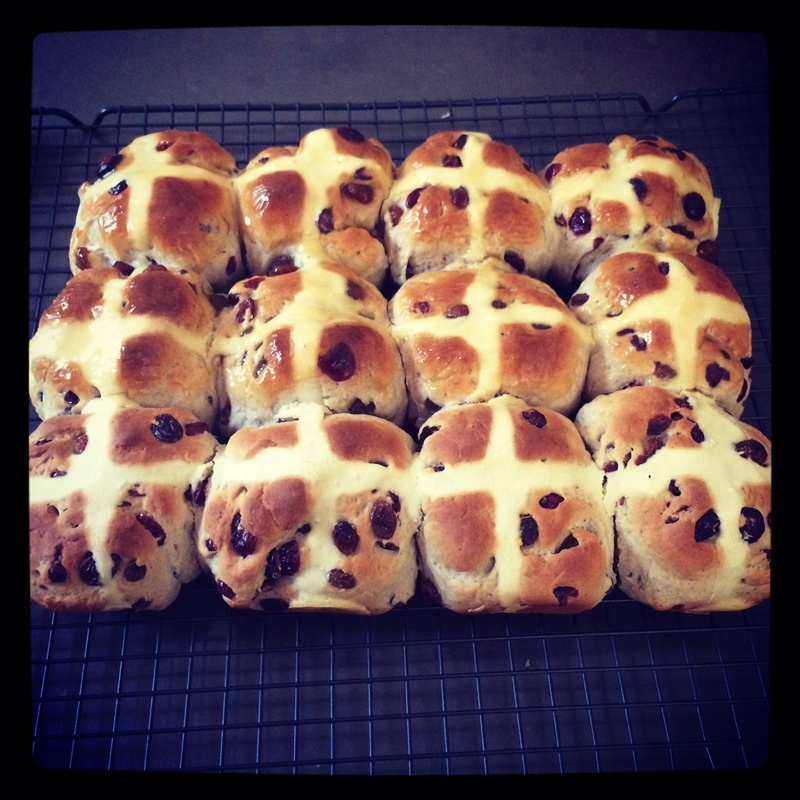 The recipe below produced a batch of 12 generously sized, fluffy hot cross buns that can (and will be) enjoyed by the whole family. The recipe is adapted from one found on Taste.com.au, the difference being the addition of extra cinnamon and nutmeg.I hope you enjoy them as much as we did! Whisk yeast, milk and caster sugar until the sugar dissolves. Set aside for 10 minutes. Sift plain flour with cinnamon, mixed spice and salt into a large bowl. Use your fingertips to rub in butter. 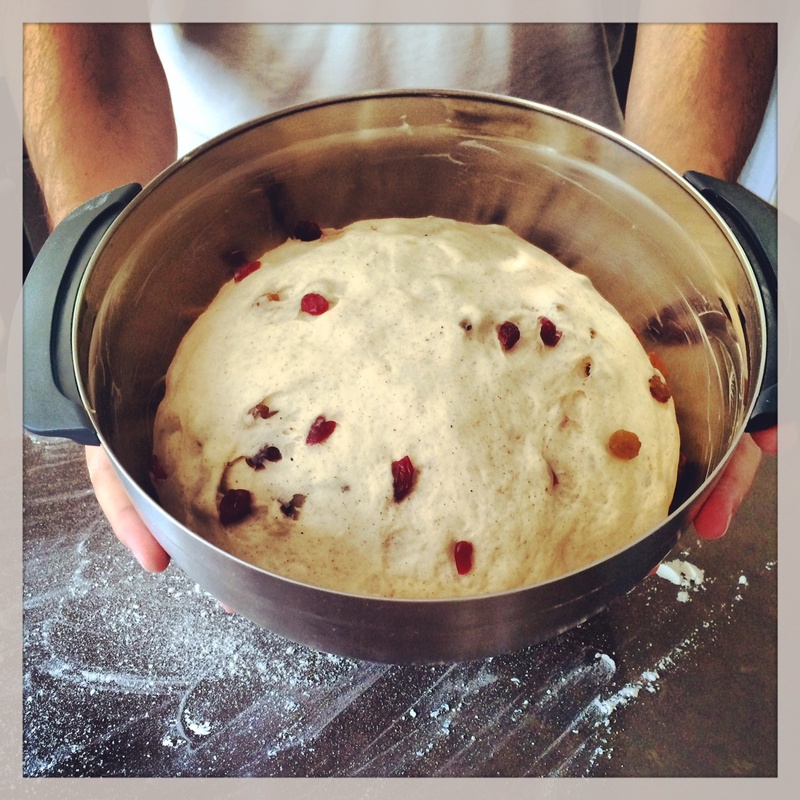 Stir in sultanas, cranberries (craisins), eggs and yeast mixture. Turn dough onto floured surface. Knead 5 mins. Put in large greased bowl. Cover. Leave in warm spot 3/4 hour. Punch down. Knead until smooth. Shape into 12 balls. Put into 30cm x 20cm greased baking tray. Set aside 1/4 hour. Preheat oven to 200°C. 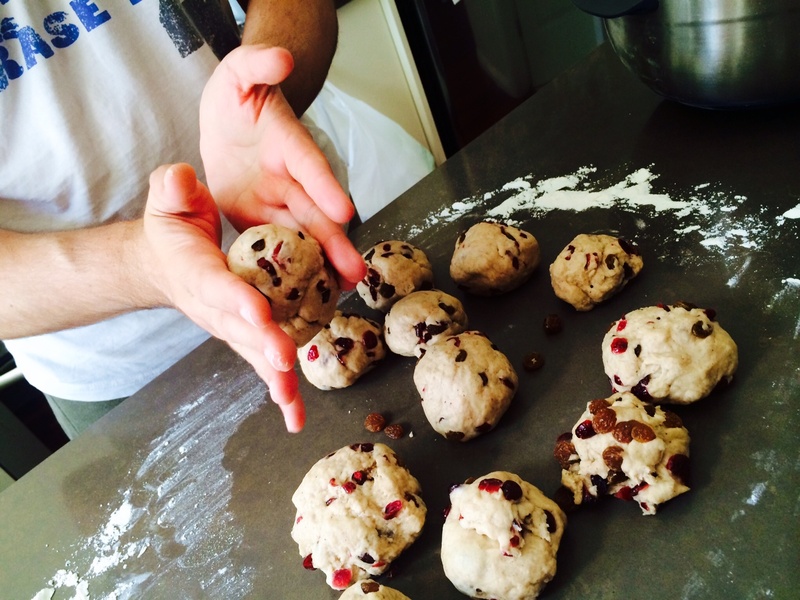 Combine self-raising flour and 1/4 cup (60ml) water. Pipe crosses onto the buns. Bake for 10 minutes. Reduce oven temperature to 180°C and bake for a further 15 minutes. 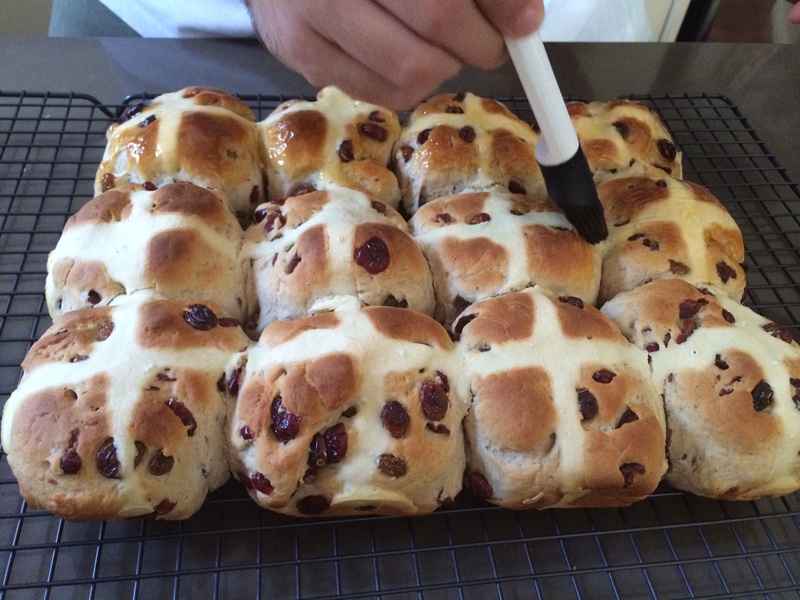 Brush buns while warm with jam and serve with butter at room temperature.